Lars Hamberg is a portfolio manager and a founder of several game-chamger businesses. Lars has become a frequent speaker on New Thinking and Innovation in Financial Services in various forums and has over 20 years experience having held senior positions within UBS and ABN AMRO, including head of research. 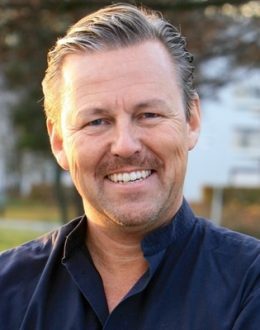 Lars founded a financial training business with majority of large Swedish financial institutions among clients and Co-founded several businesses in the IT-sector, including a runner-up in „Entrepreneur of the Year”​ by Internet World and „one of Sweden’s hottest IT-companies”, according to Reuters. His academic record includes language studies, a LLM degree from Stockholm University and PhD studies at LTU. Lars has written a book on counter-party risk in OTC-derivatives trading, he has been arbiter at the SCC Arbitration Institute and after the Icelandic crisis he was responsible for restructuring Glitnir AB, as CEO.